The single greatest in-school predictor of student success is the quality of teaching and learning. This is why leading education states, such as Tennessee, have focused heavily on building the capacity of their educators – through robust feedback, the thoughtful use of data, along with relevant and high-quality professional development to support their teachers and school administrators. 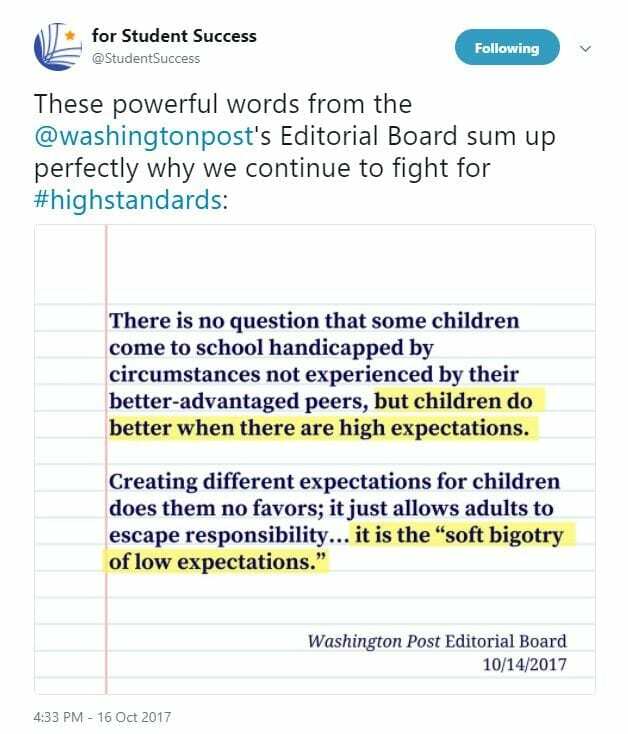 Ensuring that every student has access to high-quality instruction is especially important for serving the needs of historically underserved students. As Superintendent Campbell points out, schools and districts serving students with the greatest need often struggle to attract and retain excellent teachers. 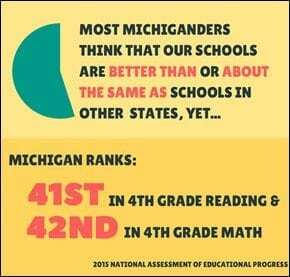 Michigan’s educational crisis is real and it impacts all groups of students and communities across our state. There is no question that making sure that there is a well-qualified, effective and excellent educator in every classroom will be key to overcoming these challenges. Michigan voters strongly support greater accountability for the state’s schools, according to the survey, released on September 28, conducted by Business Leaders for Michigan. 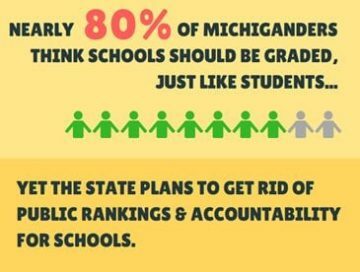 However, despite this strong support, in its most recent education plan, the Michigan Department of Education still plans to eliminate public rankings and accountability for schools. House Education Reform Committee meets tomorrow, October 19, 2017 at 9:00am in room 521 of the House Office Building. Agenda: House Joint Resolution M (2017) (Kelly – R) which explores constitutional amendments relating to the state board of education and superintendent of public instruction. Additionally, House Bill 4805 (Reilly – R), regarding a requirement for homeschool students to file an educational development plan and HB 5126 (Garcia – R), which looks at the definition of school personnel with regards to student restraint and seclusion.